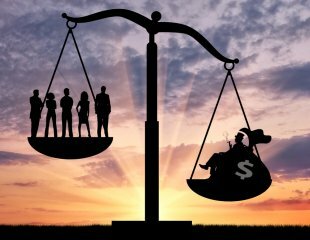 The top 0.1% of American families now have nearly the same amount of wealth as the bottom 90% of American families combined. Meanwhile, for everyone else, opportunity is slipping away. What difference will it make to average person, who taxes will not go down because the corrupt government will waste all the money on bribery driven constriction and/or other projects. everyone wise up. Does that 0.1 % include members of the organized crime syndicate that controls our government, masquerading as the Democrat and Republican parties ?. "Thanks for showing your support!" Thanks for sharing this, Freya.